Recently I wrote about my experience interviewing at-risk youth* in Honduras about their mobile phones and how they use them. If you missed that blog, catch it here: Mobiles in Central America: Digital Insights Honduras, Part 1 . 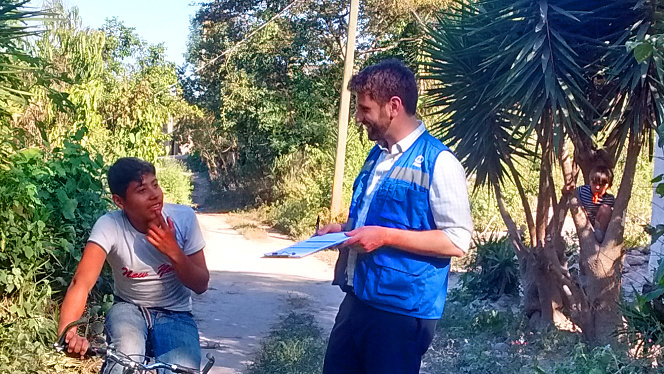 Mobile messaging and social media are incredibly popular among Honduran youth. More than 70 percent of the at-risk young people in Honduras who we interviewed had smartphones, and almost every single one who had a smartphone used WhatsApp. Facebook is even more ubiquitous. The message is this: anyone—from the Honduran government to development organizations like USAID and implementing organizations—who wants to engage with Honduran young people must meet them on their native platforms of communication. These days that means social media and messaging apps. Awareness of messaging apps is high across the board, but use is much more selective. Ninety-five percent of those we interviewed were aware of both Facebook and WhatsApp, 88 percent knew Twitter, and 71 percent knew Line. The picture for actual usage is very different. (Click the radio buttons at the top of the graph to switch from awareness to useage.) Facebook and WhatsApp dominate, with 80 percent and 70 percent penetration among those we interviewed, respectively. Twitter was a distant third with 19 percent, and Line had 12 percent usage. Similarly, in terms of average minutes used each day, WhatsApp (142) and Facebook (103) dominate with Twitter (13) again a distant third. WhatsApp and Facebook are the apps most people say they use the most. Based on the stats above, this is not a surprise. When asked to choose, 47 percent of users identified WhatsApp as the app they use most, while 30 percent said the same of Facebook. 1 percent mentioned Twitter. Questions? Comments? Want to hear more? Please share below, or tell us on Twitter at @DAIGlobal or #DigitalDAI!